This item will be created for you after purchase. Order now and your package will dispatch on Tuesday, May 7. Exceptional brightness and clarity shines through this versatile pair of emerald-cut diamonds (1/2 ct. tw.) 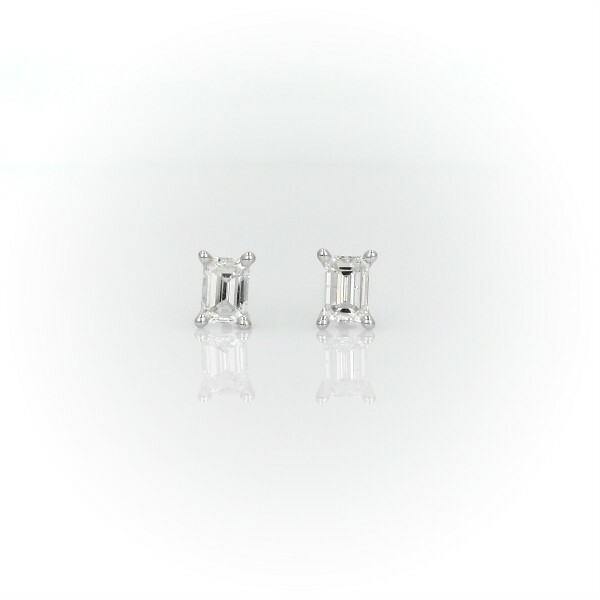 set into 14k white gold settings.